Apply wherever, whenever, and way faster. 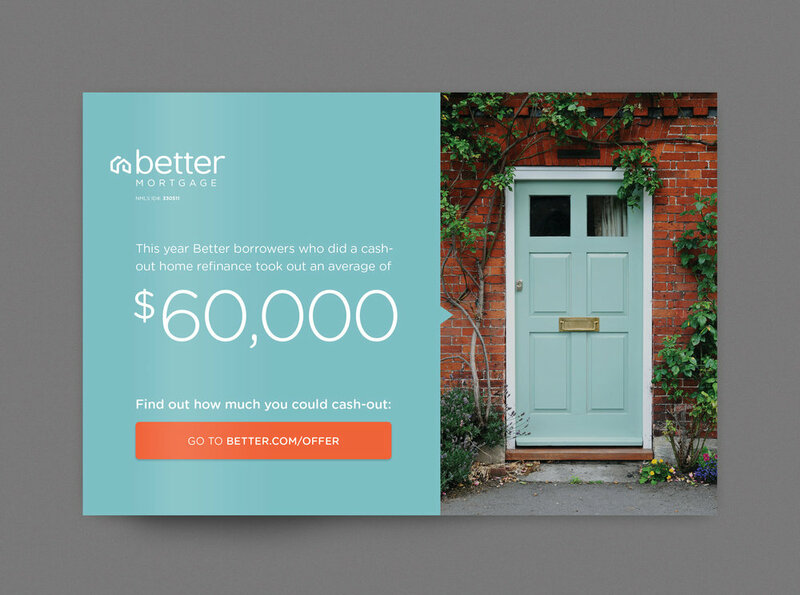 Better Mortgage is a New York based fin-tech startup with $45M in venture funding. They take the pain out of the mortgage pre-approval and refinancing process by moving it online and placing greater control in the hands of the consumer. Better approached me to help them out on a freelance basis. Using their website as a benchmark for branding and visual aesthetic, I designed direct mail, flyers and a bucketload of Facebook ads to communicate an array of Better’s unique value propositions. Services: direct mail, postcard & flyer designs, hero images, Facebook ads.